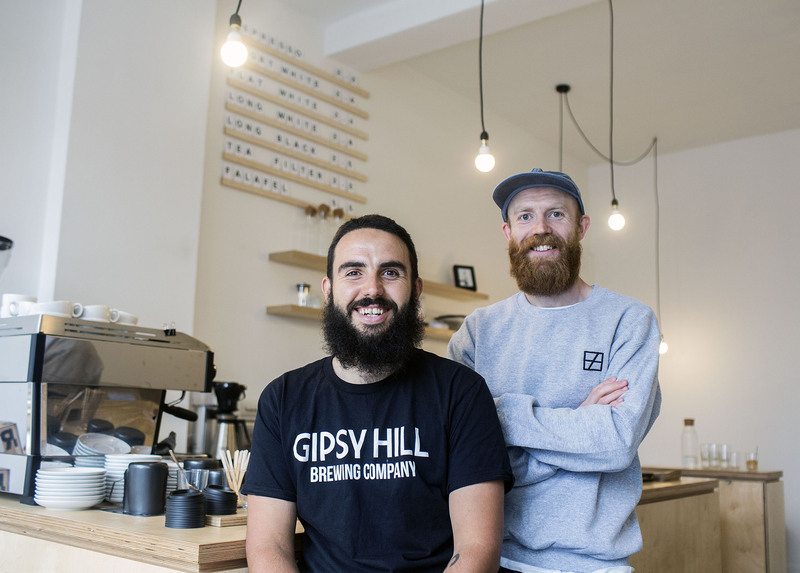 Recently opened by three members of Brixton Cycles Club, Four Boroughs is a coffee, beer and kombucha cafe that takes it name from the point next to the cafe where the London boroughs of Croydon, Bromley, Lambeth and Southwark all meet. 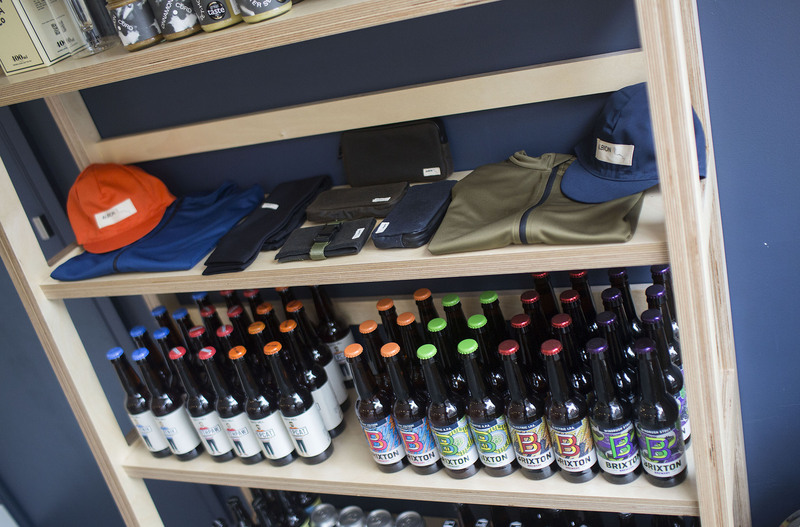 Look out for further announcements about organised rides and events from us in collaboration with Four Boroughs, but for now, if you are riding out of South London be sure to head down for a coffee before your ride, a beer after, or to check out our range of products and accessories. Who are the people behind Four Boroughs? Tom Mason, 30, Black Country bred, Entered into finance in 2008 and plotted his escape for nine LONG years, likes long rides and riding on the front. Ed Lochee-Bayne, 32, Staffordshire born, Teacher first for a couple of years then a move to PWC management consultancy brought more misery, likes to attack early and rarely gets caught. Ben Lain, 38, Hospitality industry extraordinaire from managing a 5* hotel in Val d’Isere to training all the bar staff at Reading festival, actually likes his current job and wanted another challenge, KOM holder of Col du Four Boroughs. Why did you decide to open Four Boroughs? For Tom and Ed, it was understanding that there is more to life than a monthly pay packet getting spent on things that don’t ultimately make you happy. Looking for more satisfaction from our efforts. Ben’s been a part of some pretty amazing places over the last few years and was looking forward to building one of his own. A hope that we’ll be able to enjoy being at work and gain satisfaction from creating something worthwhile. Hopefully to also have more time outside of work to enjoy the things that truly make us happy. Riding our bikes, drinking nice beer, racing, riding a long way with a clear head. Crystal Palace is a great area with a pretty chilled community vibe that suited the point we are at in our lives. Also because it’s the gateway to nicer roads, rides can naturally start and end at Four Boroughs and as cyclists this was very important to us. What’s the philosophy behind the cafe? To bring a handful of #goodthings together for people to enjoy in a simple and relaxed atmosphere. I (Tom) see us as curators more than anything else, we could not roast very good coffee, brew very good beer, build furniture, write nice music, etc. but we know and appreciate these things and want to bring them together without the distractions of everyday life. 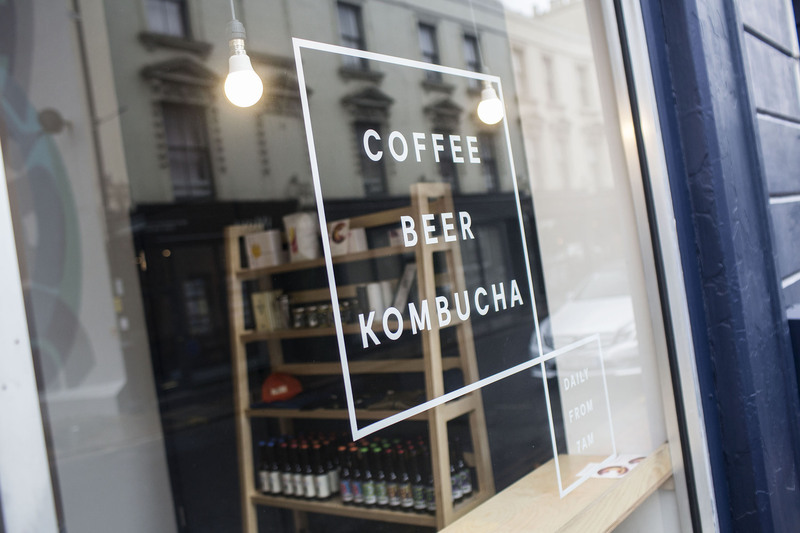 Great coffee, awesome beer brewed in London, Gut health enhancing drinks, we came close to having our window vinyl as JUST GOOD THINGS and we have tried to bring together the best of what we can find and nothing else. You are all cyclists – has that influenced the cafe in any way? Massively, when you ride you carry the bare essentials as anything else will only slow you down and distract from the pure joy of riding fast and far. Cycling taught us that we don’t need a whole bunch of money to be happy, that what really makes us happy is riding out with friends, searching out new roads and finding new limits. This minimalist view is at the essence of Four Boroughs. It’s easy when you’re setting up a cafe to go crazy with the offering but our menu is small and very considered, just like the items in your jersey pockets. If you don’t use them after a few rides, you stop taking them out. You’ve only been open a few weeks, how has the reception been? The reception has been great, people seem to really like the minimalist design and the healthy food offerings. The kombucha response has also been very positive people are keen to try it and listen to why we’ve decided to make it such a big part of Four Boroughs. We’ve started to get more and more cyclists beginning their ride with a coffee from us which is great, it’s awesome to see an idea in your head come to fruition. Every time someone says we’ve created a nice space I (Ed) do a little somersault in my head, creating Four Boroughs has been like putting your heart on your sleeve and to get a positive response is really amazing. You never know until you’ve opened the doors that people will like what you’ve created. Four Boroughs is not the finished article, that’s for sure. There are still some things we’re trying to get right but it’ll be a slow process as we don’t want to do anything half hearted. We want to continue to meet and work with passionate people and collaborate where we can, and where our ideas align. We’re very excited to see where our collaboration with Albion goes. In the not too distant future, we want to bring craft chocolate to our shelves, another area in which we’ve been duped into consuming a second rate product for too long. A gin and kombucha night is also on the horizon. Tom will probably try and get some 300k ride organised at some point, even if it’s just him.